Adam has been in the Harley-Davidson business for more than 25 years. He was born and raised in the DFW area and joined the H-D motorcycle business in 1991. 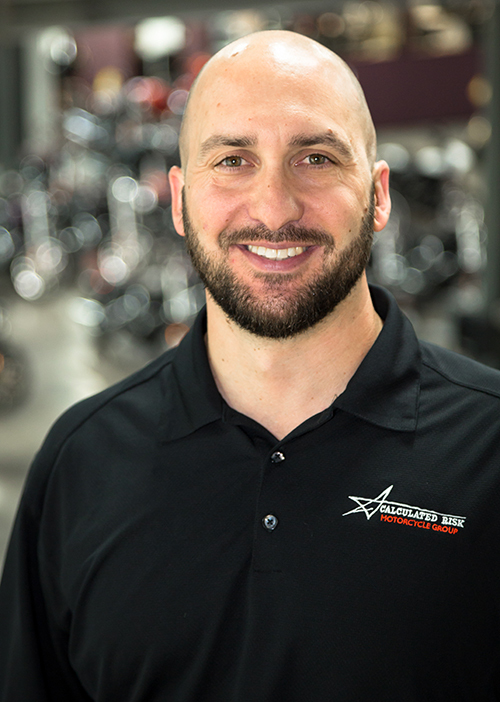 In 1996, Adam opened his first Harley-Davidson dealership in Grand Prairie, Texas, making him the youngest person to own and operate a Harley-Davidson dealership at the age of 22. Adam learned to ride a motorcycle before he learned to ride a bicycle. To date, Adam has ridden over a quarter of a million miles across the US, including scenic rides through Alaska, Sturgis and Daytona. Adam has a growing collection of antique Harley-Davidson motorcycles on display at the flagship store. Under his leadership, Calculated Risk has grown to own and operate six Harley-Davidson dealerships and has launched the Lucky Penny Cycles brand. 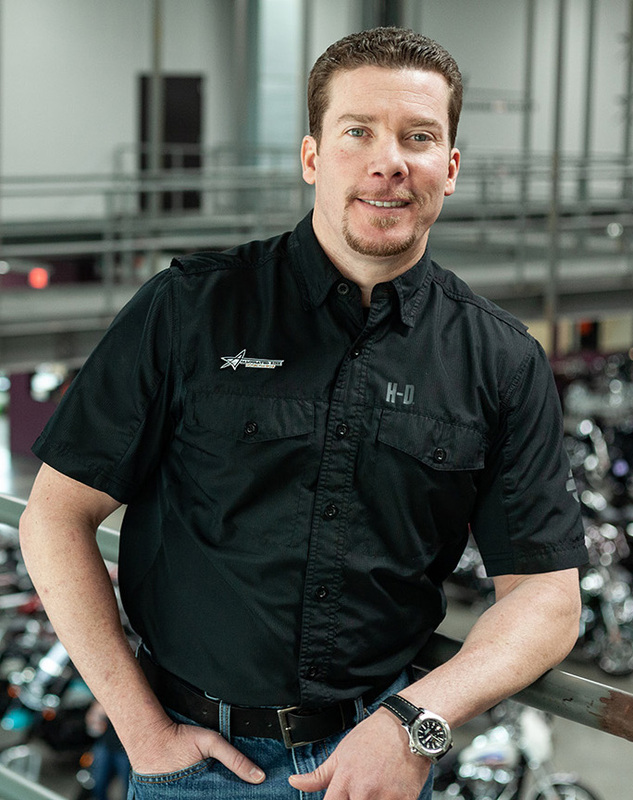 Adam currently serves as the 2018 Harley-Davidson Dealer Advisory Council president, representing the approximately 675 Harley-Davidson dealers across the nation. Neil oversees the daily operations of Calculated Risk’s seven dealerships, working closely with majority partner and owner Adam Smith to set the direction for the business. Neil started in the motorcycle industry in 2003 and joined Calculated Risk in 2012. Jeff Soldner is Calculated Risk’s CFO. He spent 22 years in the retail automotive business with Van Tuyl/Berkshire Hathaway Automotive Group before joining the Calculated Risk team. Jeff is a certified CPA and graduate of Capital University in Columbus, Ohio. He joined the Calculated Risk team in 2016. Randy started in the auto trade industry and worked his way to the Harley-Davidson business in 2004. He started working for Adam and Calculated Risk in 2011 as service manager for Texas Harley-Davidson, the largest H-D dealership in Texas. Shane got into the motorcycle industry in 2003 and was fortunate to be able to work in a wide range of powersports including Harley-Davidson. 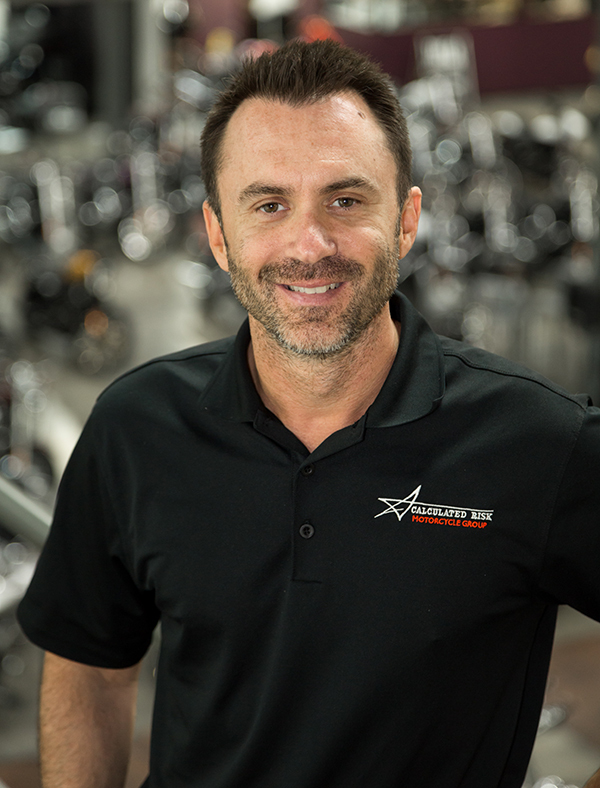 He joined Adam and Neil in 2016 as the general manager of Texas Harley-Davidson and now oversees the daily operations of the six Calculated Risk Harley-Davidson dealerships. When he’s not tending to the motorcycle business, you’ll find him spending time with his family, riding his 100 Anniversary Springer or casting a line at the coast if he’s lucky.